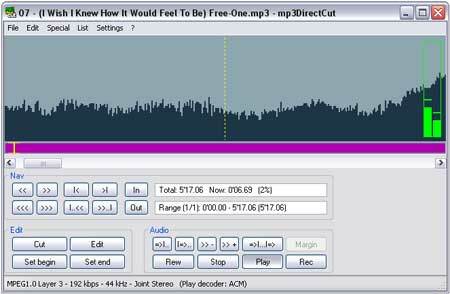 mp3DirectCut is a portable mp3 audio editor and recorder. It allows a user to directly cut, copy, paste or change the volume with no need to decompress your files for audio editing. Saving encoding time while preserving the original audio quality. Mp3DirectCut features a built in recorder to help create mp3’s on the fly from your audio source. It also contains advanced features that allow a user to cut, shorten or fade files. This application requires 348KB of free disk space for complete portable installation.